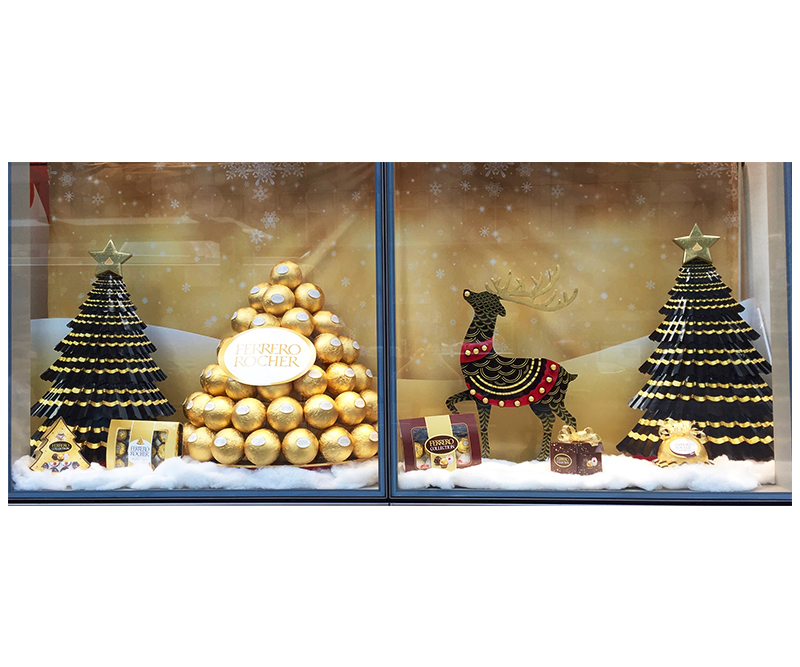 Ferrero® NYC Windows – Zucconi Idea Agency, Inc. 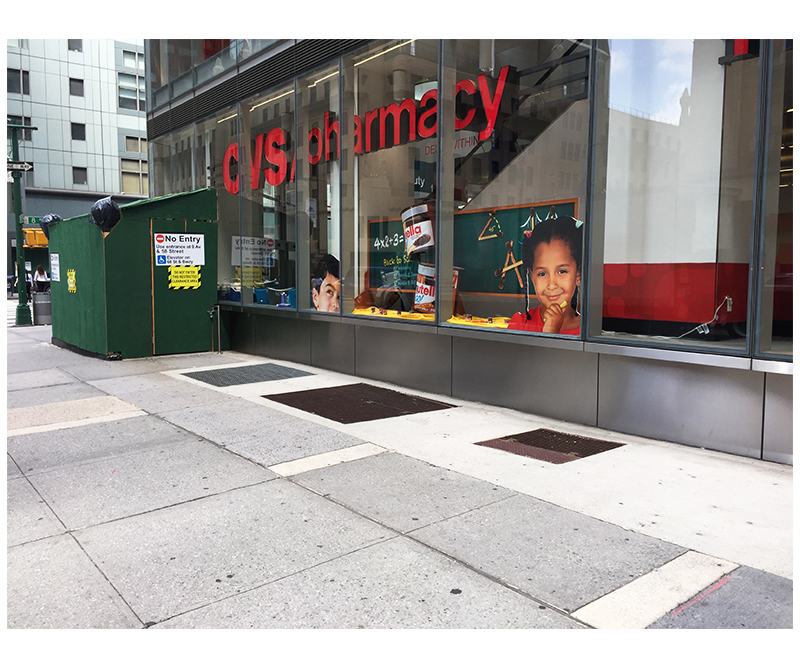 There's really no arguing the point: New York City is the big time. 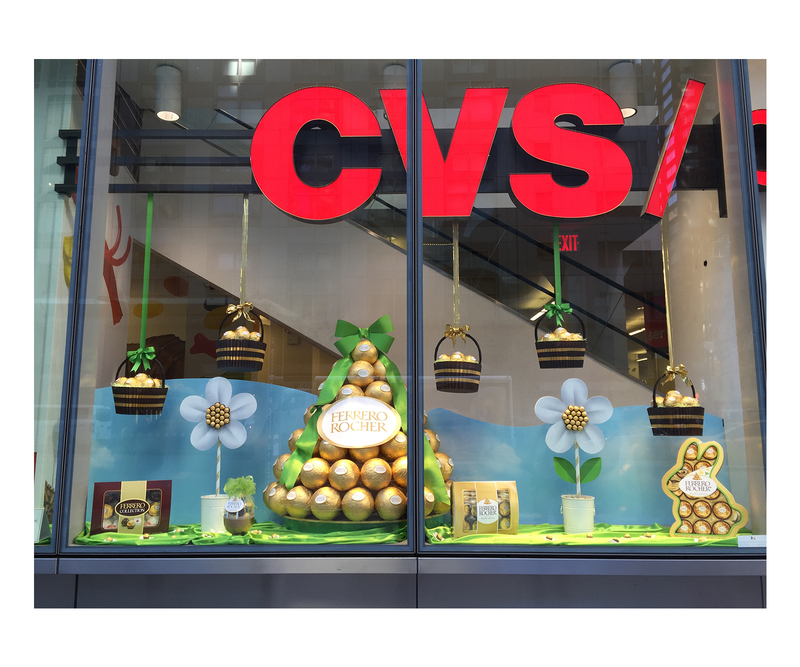 When a brand commits to a Manhattan store-window presence, the creative and execution have to be perfect. 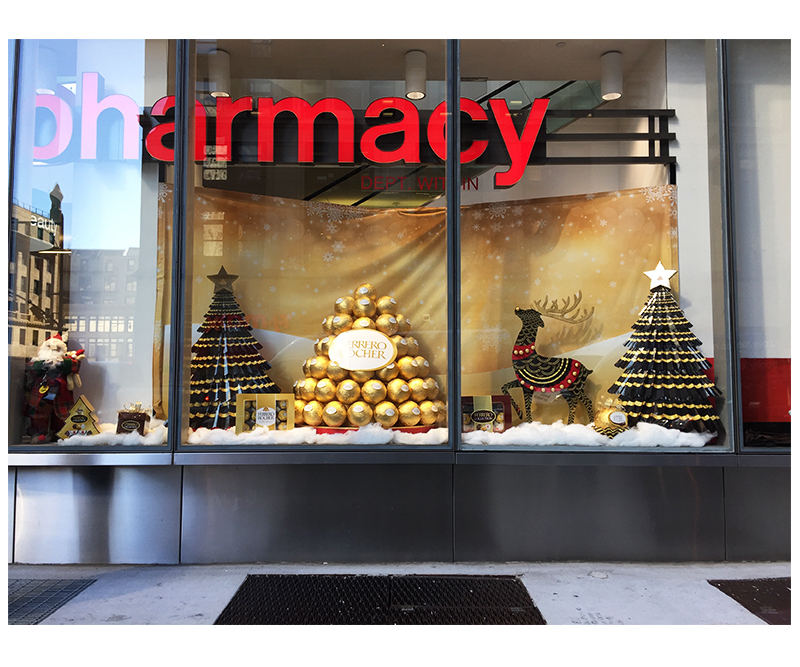 That's the standard we had in mind when we designed a series of midtown CVS store windows for the Ferrero® flagship brands. 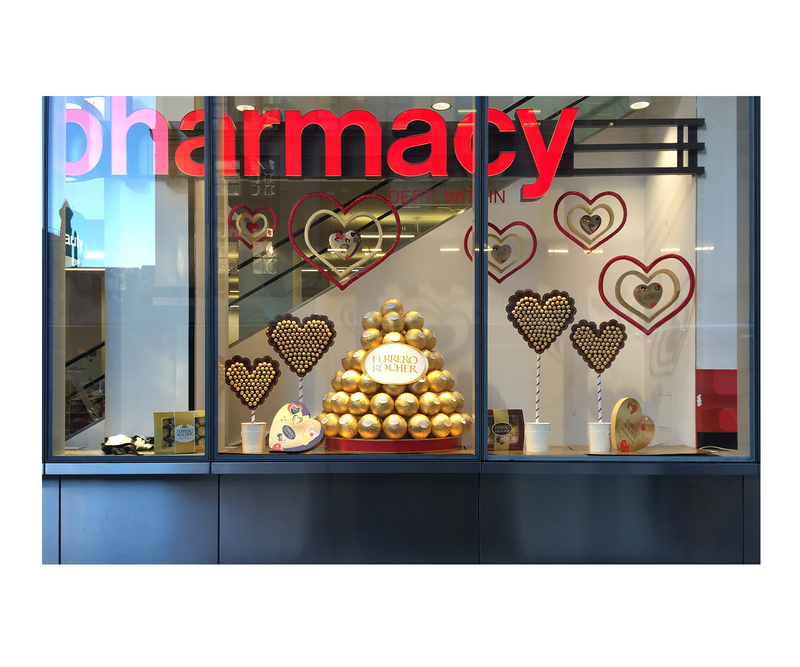 A playful back-to-school concept for Nutella® & Go! 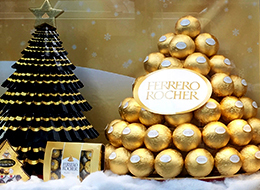 A glamorous, golden holiday winterscape, a sweetly romantic story and a sophisticated springtime look – all for Ferrero Rocher®. 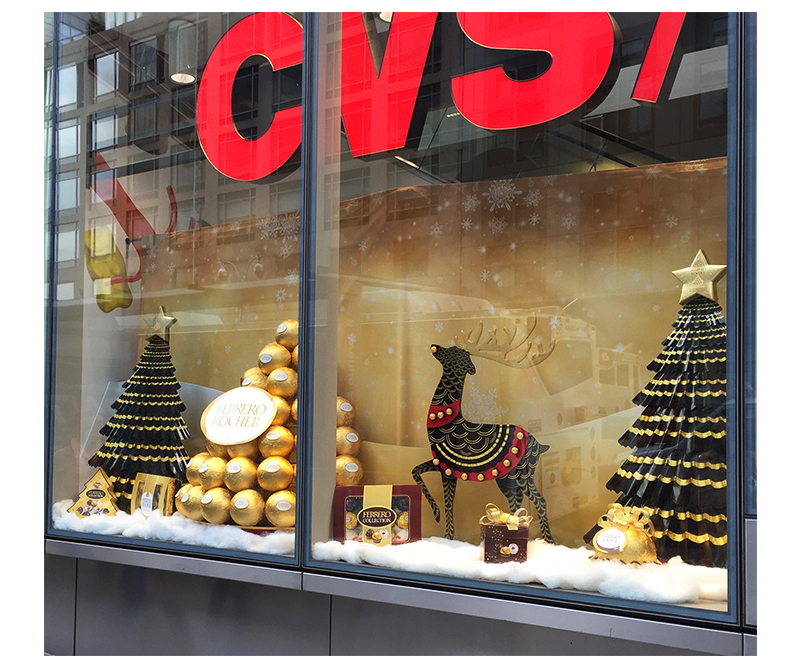 Nobody's busier than a New York commuter, but we'd like to think we got a few of them to stop and stare.